Ade Ola, left, played by actor Adam Pascall performs alongside Calypso artiste Singing Sandra during Tuesday's performance of His Story for the Prime Minister's Best Village Trophy Competition at the NAPA. 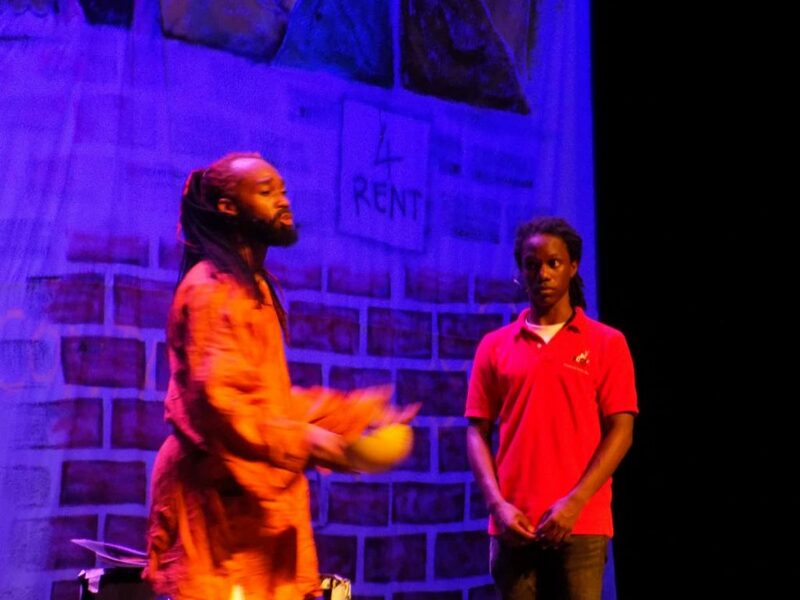 Members of the audience at the Lord Kitchener Auditorium, National Academy for the Performing Arts (NAPA), were taken on a journey through time from the plantations of colonial-era Trinidad to the inner cities in an hour long presentation of His Story by director Sean Singh. The play, which was the first performance of the evening yesterday, followed the journey of a naive history student as he seeks out the wisdom of village elder Ade Ola, played by veteran stage actor Adam Pascall in an unnamed Trindadian ghetto. A moko jumbie stalks an unsuspecting Uncle Tom during Tuesday evening's performance of His Story at the NAPA for the Prime Minister's Best Village Trophy Competition. The story develops from a simple history lesson to a gripping battle of good against evil with Ade Ola opposing the sinister plans of neighbourhood drug kingpin “Uncle Tom”. Issues of social inequity, broken criminal justice systems and the hopelessness of urbanites assumed full focus as the young actors drew a variety of responses from the packed auditorium. 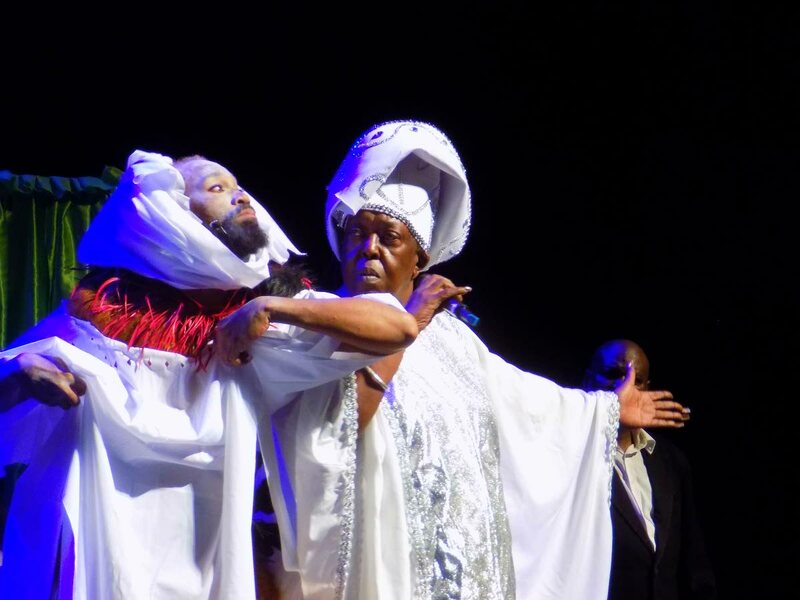 Like its namesake, a recurring theme in the performance was TT's history of oppression repeating itself in modern times through apathy and corruption. Ade Ola, left, played by actor Adam Pascall teaches a student a lesson in history during a scene of His Story. Despite the seriousness of these issues, the story includes a healthy dose of satire and sharp wit as in one scene where police officers scramble to retrieve the lost cell phone of a politician’s son. Clever visual metaphors and smooth set transitions between the slavery era and modern TT further emphasised the plight of youths in socially depressed communities. 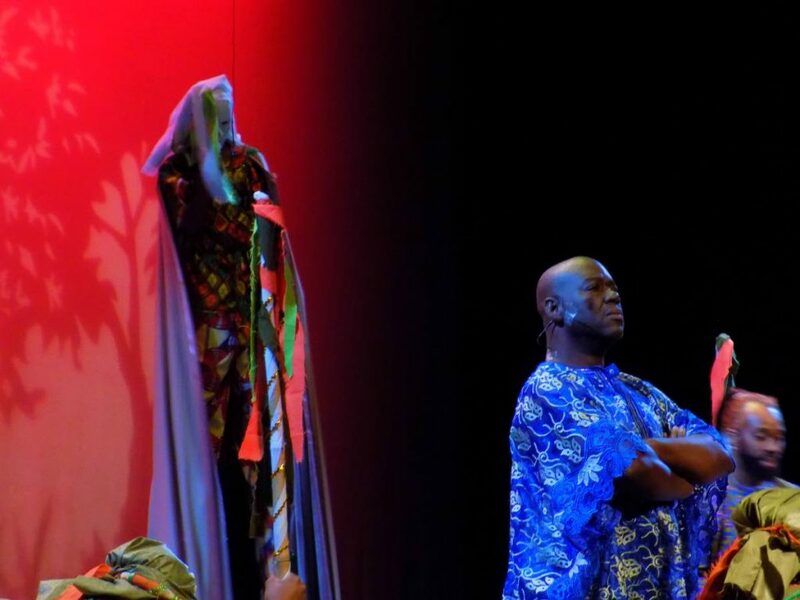 Complete with soulful cover versions Calypso classics like David Rudder’s “Haiti” and Sparrow’s “Slave”, to support the cast’s performances, His-Story kept audience members of all ages interested. Reply to "His Story repeats itself at NAPA for Best Village"